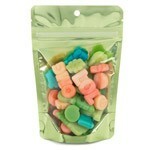 ClearBags has been in the packaging business for over 25-years. We offer nearly unlimited options for customizing a stand up zipper pouch including full-service printing, various closure options, and custom styling that is only limited by your imagination (and the laws of physics…). 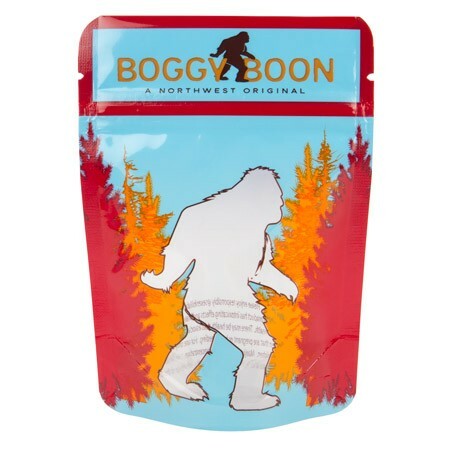 Not only that, when you customize your stand up pouch with us, you can be sure you are getting excellent pricing - the best in the industry. Check out some of our capabilities below or request a quote. You Dream It. We'll Make it. Be Unique. 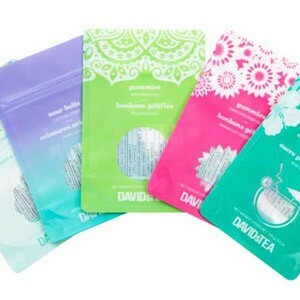 With nearly unlimited color and style combinations, you can bring to life the perfect packaging to "wow" your customers. Not sure where to begin? Start with some of our newest and most popular stock options and customize them from there. 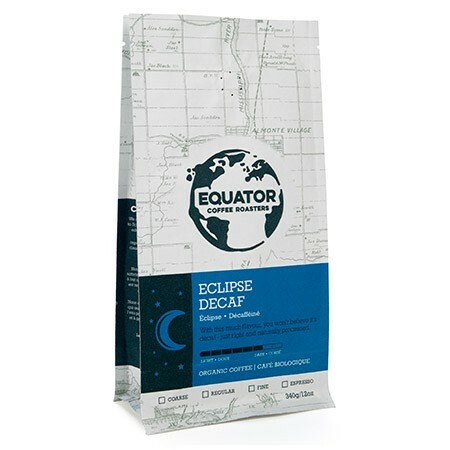 We offer a full line of standard stand up pouches that can be fully customized. 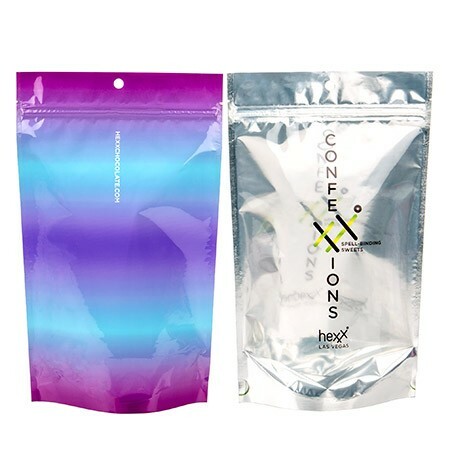 Metallized pouches offer the highest barrier for your product. With a solid opaque surface, you have plenty of room for branding. Child-resistant bags are designed to keep harmful substances away from children. Innovative technology and a smart design make these protective pouches suitable for products such as marijuana herbs, edibles, concentrates, pharmaceuticals, and chlorine and detergent pods. Celebrate the environment and your product with our first ever 100% compostable stand up pouches - including a compostable zipper (that was the tricky part). 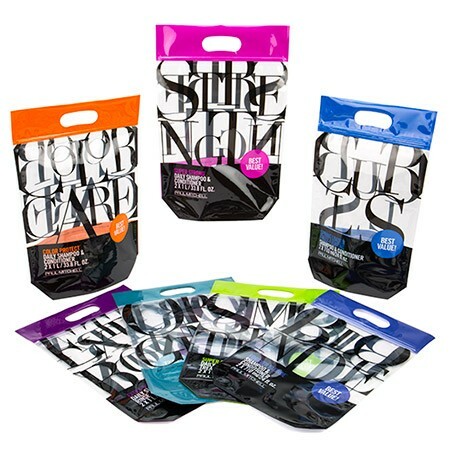 Certified compostable and FDA approved, these pouches offer a sustainable alternative to traditional stand up pouches. Colors add spice to life and to packaging. 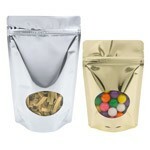 We carry standard and metallized stand up pouches bursting in bold colors and style. 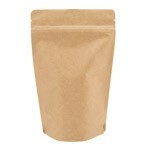 Kraft Stand Up Pouches are a special blend of relaxed sophistication. The earth-tone color is like a blank canvas just waiting to be filled, perfect for a customized design. 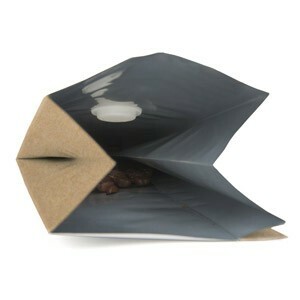 Rice paper adds a special element to packaging. Every bag is slightly different with a unique fiber pattern. 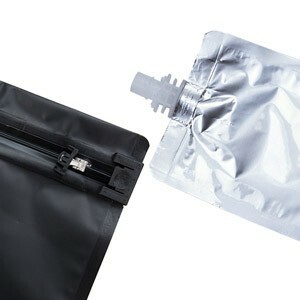 If a standard pouch isn't your thing, then create a custom look with a quad seal bag. This bag mimics the style of a box. 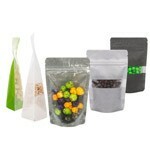 Let a ClearBags custom packaging expert help you out! If you would like one of our representatives to contact you about a potential custom order, please fill out this brief form below or call us directly at 800-233-2630. Form submissions are for individual items. Would you like any custom items printed? Thank you for your inquiry. Our Custom Packaging Specialist will contact you within 48 business hours. Consider these options and requirements when planning your order. If you have any questions, please contact one of our Custom Packaging Representatives at 800-233-2630. What are your minimum quantities and how much should I expect to spend? That all depends on the size and features of your bag. The more you order the better the price you get (we are a wholesale business). Typically we recommend at least 5,000 pieces for a custom stand up pouch, but ultimately, it depends on the total value of your order. A typical minimum budget would start around $500-800 for unprinted, $1000-$1250 for a 1-2 color bag, or $1400+ for a 3+ color bag. Call us or submit the form above to request an official quote. Note: The quotes above are the average base prices for custom orders. 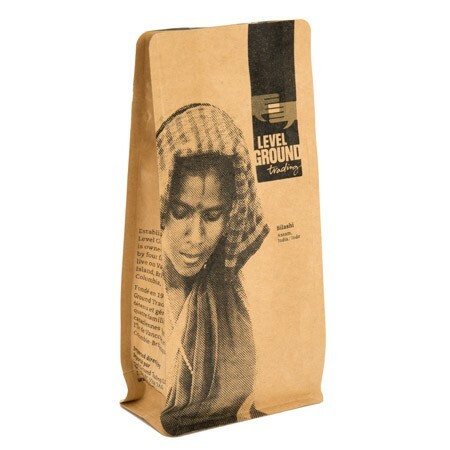 Actual quantities and cost will depend on the size of the bag and the complexity of the project. What are the printing/artwork requirements for custom packaging? When submitting artwork for a custom product, please follow the guidelines below to ensure timeliness and accuracy. All images should be embedded into the design file. Please be sure to communicate any clear areas of the packaging (e.g., windows). Recommended: In addition to sending us the editable file(s), please send either a flattened jpg or pdf, of your final design, as a soft proof. With the proof of your design, our designers are better equipped to compare your approved design with the editable file(s) sent, ensuring that all elements are present. All fonts must be converted to outlines in the document or included with design files. The benefit of outlined fonts is that design remains intact, while the drawback is text cannot be edited. Outlined fonts are preferred. Please submit artwork in Pantone color format. We will have to separate and reformat any artwork that is not given to us, layered by specific Pantone color. When using Pantone colors, you must include color codes (i.e., Pantone Number). Providing a printed sample to match colors will help ensure proper print matching (sample is not required). Providing a printed sample to match colors will help ensure proper print matching (sample not required). 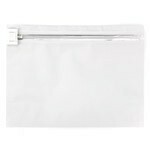 Please send any printed samples to the ClearBags representative you are working with. RGB format will NOT be accepted. If your art is in CMYK format, we will convert the colors to Pantone and try to color match to the best of our abilities. Colors converted from CMYK may not exactly match (we can typically get a 90% color match). Please provide Pantone colors if you want to ensure 100% color match. Use pink (or another color if you already have a pink color in your file) to represent clear, white, and special finishes such as a matte or glossy finish. The color layer can be layered on part or all of the image. Donte what this color means in the file. Please use a 1/8” bleed (i.e., extend artwork 1/8” beyond dieline). Resolution should be 300 dpi and 100% in size. Having our artists resize elements could result in image quality loss. Please submit artwork to the representative assisting with your order via email (if less than 50MB), Google Drive, or WeTransfer.com. Please direct any questions to the customer service representative assisting you with your order or call 800-233-2630. What barrier do I need? That depends. All of our pouch barriers are higher barriers, but which one is right depends on a few things. 1) Price - Typically the thicker the barrier or the better technology barriers will be more expensive. They are also often more than you actually need. 2) Product needs - What are you packaging? 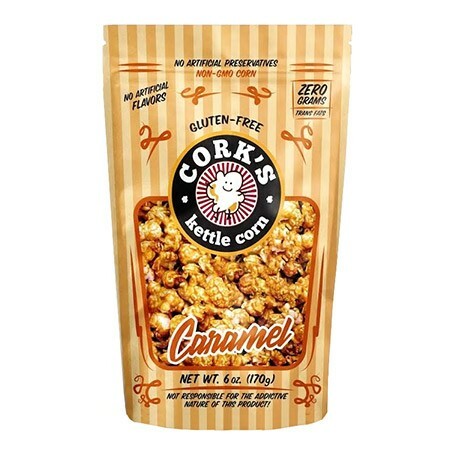 Does the product have a strong odor such as garlic or medically infused products? Is it sensitive to outside light? If so, you might consider a metallized barrier. Is displaying your product through a window or a clear front important? If so, you will need to go with a clear (medium) barrier (non-metallized). You might do a combo barrier with a metallized barrier and a de-metallized, clear window. The possibilities are endless and should fit your budget and what your product needs. The good news is that with ClearBags, you will get the most value possible. The best barrier, outstanding printing, and an array of other options, all for an amazing price. Talk to one of our packaging experts if you need help determining what level of barrier you need. Should I print directly on the bag or use labels? Great question. We actually wrote a post on that. 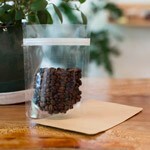 See Tip #4 and Tip #5 in our Packaging Cost Savings blog post. You can also do a combo of printing and labeling to save on costs. 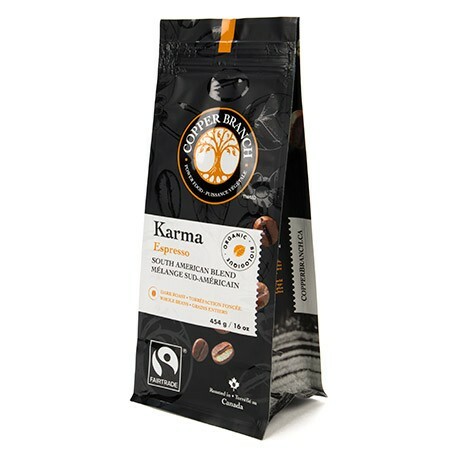 Print the same design across multiple SKUs and then affix the product name, nutrition facts, and barcode using labels. There are many different labeling companies out there. We will often refer our customers to stickeryou.com, but it is important to find a labeling company that will meet your needs. If you can't find the right company to help with labeling, please give us a call and we will be glad to help out. 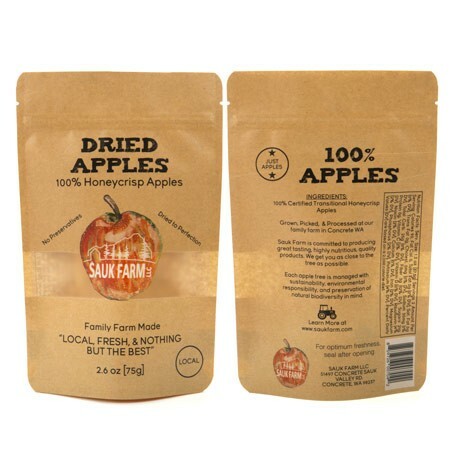 Can I brand the outer boxes and labels that contain my custom stand up pouches? Yes. We can print your logo on the outer boxes and outer bags that your pouch packs come in to allow for maximum branding control. Can you do sequence barcoding for inventory control? Yes. We can print the labels and keep track of the sequence (control numbers) on each batch of each item. When should I hear back on my quote? You should immediately get an email letting you know that we got your request. 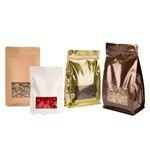 Then, you should get a response from on of our custom packaging experts within one to two business days. 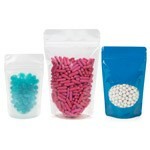 If you have not heard back by then, please reach out to sales@clearbags.com to inquire about your quote.